Warner Bros. hasn’t had the best of luck with directors on its Ezra Miller-headline Flash movie, with Seth Grahame-Smith and Rick Famuyiwa both departing the project due to creative differences. However, it looks like the studio may be closing in on another filmmaker to steer the Scarlet Speedster’s solo outing. 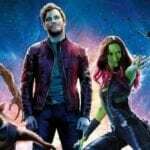 The Wrap is reporting that Robert Zemeckis (Back to the Future) tops the shortlist (you may remember he was rumoured a few weeks back), while Variety states that Matthew Vaughn (X-Men: First Class) is also high on Warner’s wishlist, and THR has added Sam Raimi (Spider-Man) into the mix. All three are said to have met with the studio in recent weeks, and this is the second DC project we’ve heard Vaughn linked to after the rumoured Man of Steel 2. Apparantly Zemeckis is currently the number one choice for the gig, although he is currently working on an untitled drama starring Steve Carell, which will film in the fall. However, The Flash is currently without a release date and it is said that Warner Bros. is willing to wait should he decide to take on the reins.